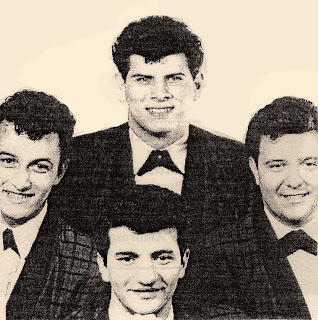 In late 1961 Gus Mellace, Ronny “Pro” Provenzano, John Bersami and Ronald Santora formed a vocal group in their Nearby South Philadelphia high school but without a determined Lead Singer. In the same time Jack Lodato with the Bruni Sisters(Future Records),John DePalma(later in the Premiers on Mink,see in this blog),Junior Gigliotti and Bobby Cramatola(Later in the Fantasys on Guyden,see in this blog) were know as The Velchords. 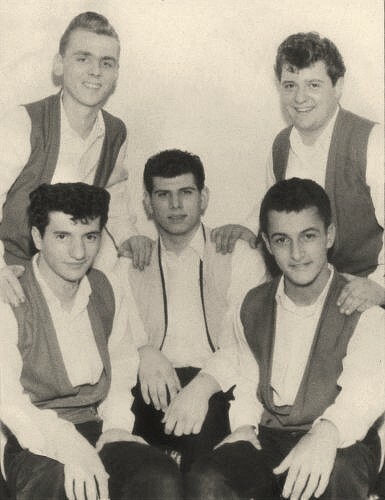 When they broke up, Jack joined the Nearby hig school guys and The Del-Airs were born; Jack Lodato(Lead),John Bersami(1st Tenor),Gus Mellace(2nd Tenor),Ronal Provenzano(Bass) and Ronald Santora(Baritone).with the fabulous lead voice of Jack the group practice with songs as “Two People In The World”,”Tears On My Pillow”,”Long Lonely Nights” and signed Bruce Reed as their manager who send the group to participe on many shows. 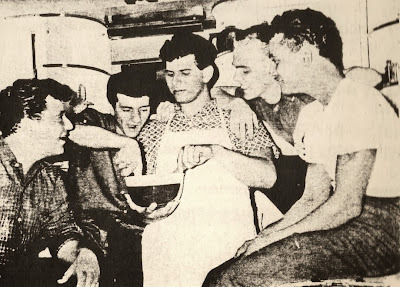 Without made a record with Bruce the guys signed Gu’s older brother Joe Rocco(Mellace) of The Day Brothers as their new manager,this send the group to Morris Ballen owner-operator of M.B.S. Records who contracted the group and send this to the recorded publication laboratory in Camden where recorded the 1958 Fabulaire’s tune_While Walkin. 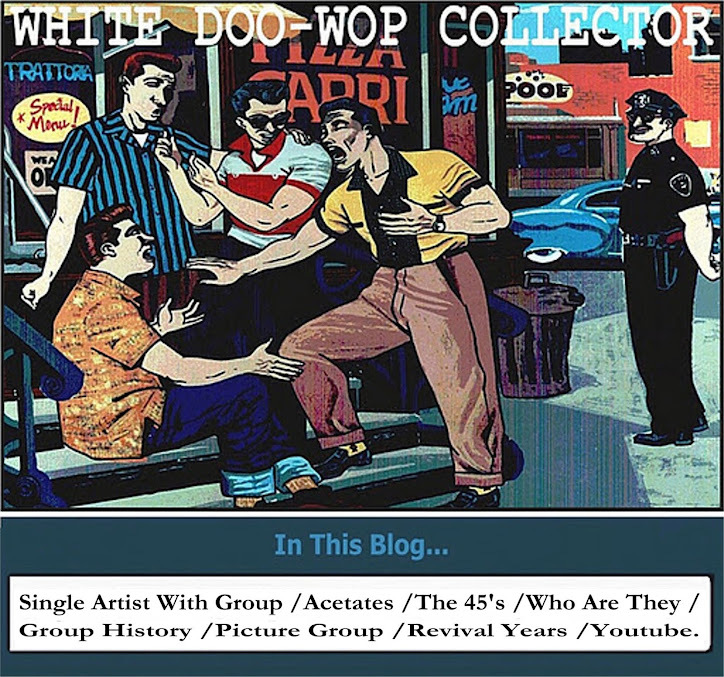 And the original tunes_Lost My Job/Mystic Melody/The Night Before Christmas. In 1964 the group back to the recording studio at Sound Plus in Northeast Philly and recorded_It Took A Long Time. 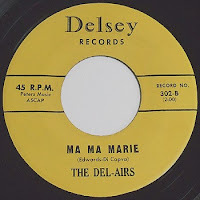 A redux of 1957 Malcom Dodds & The Tunedrops tune, with the original song_Ma Ma Marie. Finally released in the Delsey label in the summer of 1964 but with the british invasion the disc dead soon.the group recorded a nember of tunes on the A.M.S studio but disbanded without made another recording.